‘Beyond all limits- Breakthrough in excellence’. As the theme announces, this conference will include all aspects of reproductive medicine and technology. The proposed scientific deliberations ranges from the latest molecular and genetic technologies to all concerns in reproductive healthcare. The program is designed to address the educational and intellectual needs of all professionals who deal with this discipline. 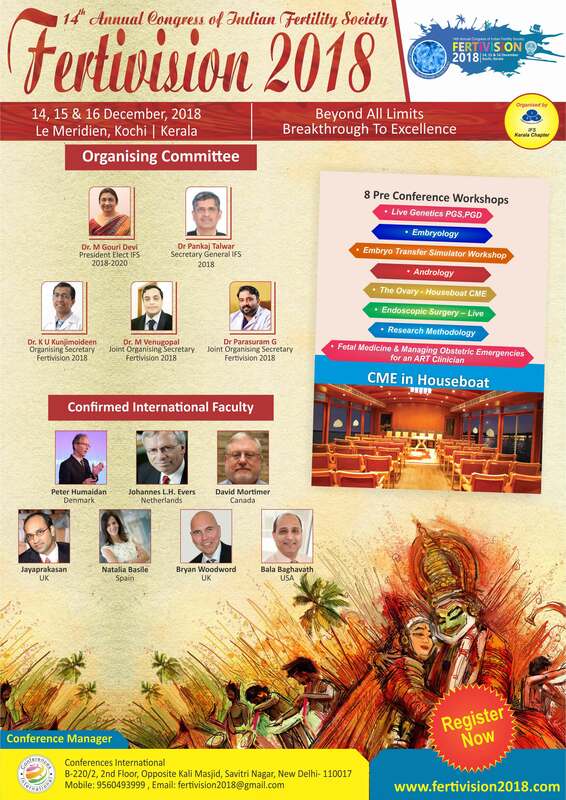 There will be plenary lectures, symposia, and interactive sessions, all supporting the theme of the Congress.